Home › Nieuws & Artikels › Nieuws › Victoria Falls World Challenge Pigeon Race: Hot Spot 5 results & increase of prize money to $1,000,000! 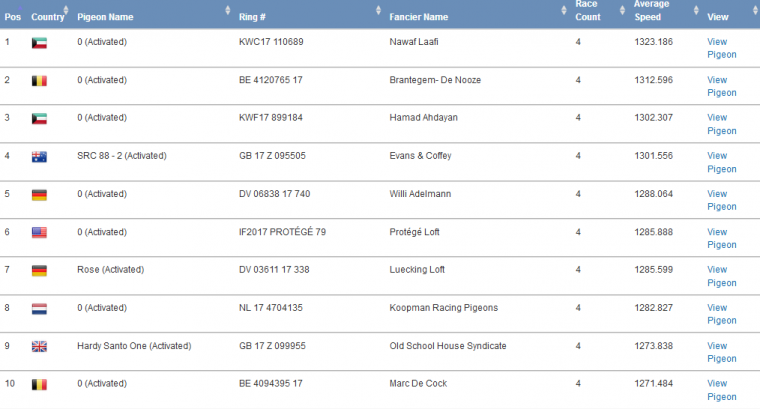 Victoria Falls World Challenge Pigeon Race: Hot Spot 5 results & increase of prize money to $1,000,000! Most late pigeons came the second day when it had cooled overnight. They were all in reasonable condition except 3 which were injured by hawks. 1171 pigeons went to the race. We will continue to toss the pigeons every day depending on their condition. There will be a few more online training flights leading up to the final and notifications will be emailed out as usual. Furthermore, we would also like to mention that the prize money for next year has been increased to $1,000,000!